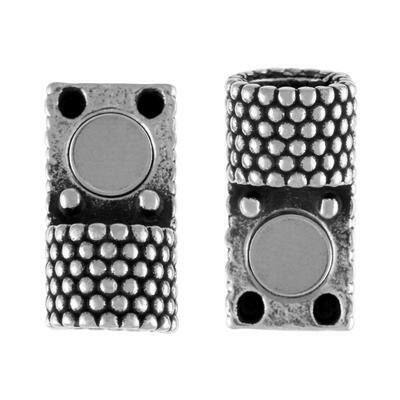 New, with a unique dotted texture, this genuine Regaliz Magnetic clasps has an interior diameter 5mm. 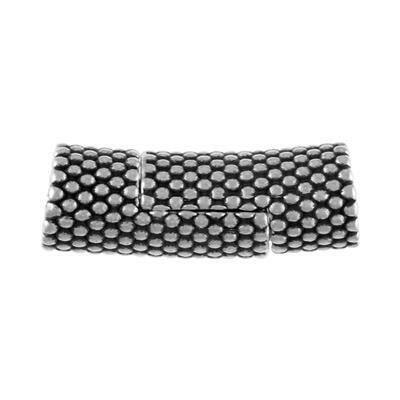 The magnet is super strong and requires a twist and lift motion to open. Don't be fooled with Chinese copies. Invest in a quality clasp. You and your customers will be thankful. Simply glue your cord end into the inner hole 5 minute 2-part epoxy for the most secure hold, and allow to cure for 24 hours. For leather, use a super glue designed for leather.